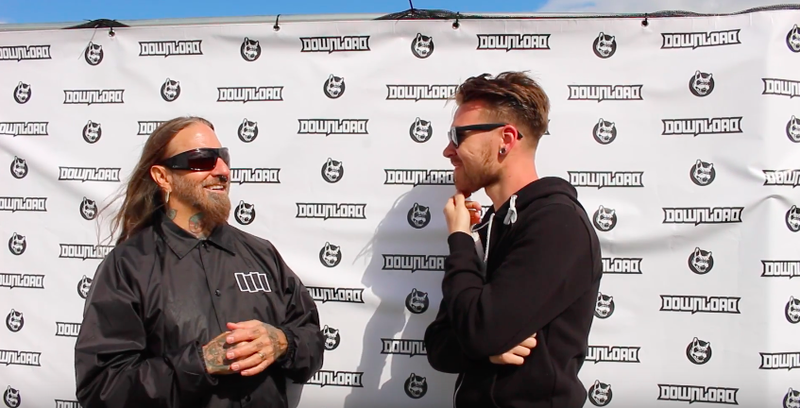 Convinced of this sentiment frontman Dez Fafara has unveiled some very large scale plans for DevilDriver in the coming months. Hardly one to be seen as the likes that would collaborate to create a country record, DevilDriver actually have a hell of a lot more surprises up their sleeve. The common struggle of community brings itself into a more relatable milieu as Dez mentions DevilDriver will be releasing a huge Outlaw style country album gone Metal. Though from different backgrounds the similarities in Metal and Country are somewhat uncanny, the same fierce passion that sees its fans truly devoted to the genre transcends classification. Following their absolutely Herculean performance at Download Festival I spoke to Dez regarding this new project and some of the guest vocalists we might be seeing and though it might be the year’s since The Last Kind Words, the man assures me that he is looking entirely ahead in this new, daring, exciting and absolutely fascinating chapter in not only DevilDriver but Dez’s life. DevilDriver’s brand new album Trust No One is out now via Napalm.